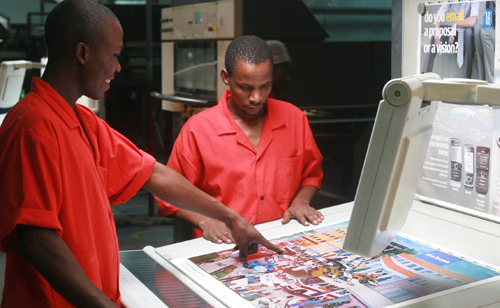 Thought its advancement, Jamana Printers has invested heavily in its technological developments, yet still offering the best rates that are affordable to its customers. Our new machines enable us to have a higher productivity. Also, a new machine means more flexible time schedules. High resolution screening is used in our plate output to ensure that maximum clarity and color accuracy is achieved. Our products include magazines, catalogues, annual reports, business cards, calendars, corporate brochures, diaries, flyers, folders, leaflets, office stationeries, postcards, posters and any other related products.